Nola Farman is a quirky doyenne of Australian interdisciplinary art, whose practice spans from the 1960s to the present. Her work ranges from large-scale environmental installation and media art through to smaller installations, paintings, drawings and artist books, such as those on display in Flight at Gallery East in Sydney’s Clovelly. A Clovelly resident, Farman has been stealthily upping the neo-Fluxus quotient in the seaside suburb with this exhibition and also her regular experimental poetry and prose readings, Off Track, held at a local restaurant. 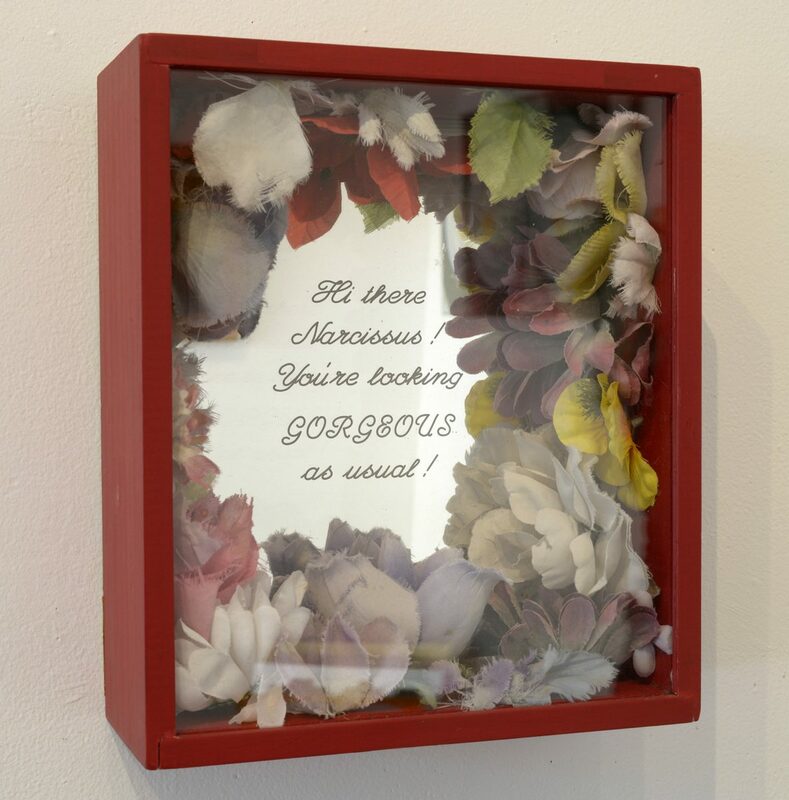 There’s a sense that Farman, now in her late 70s, is bringing her career as an artist home to roost, and Flight presents itself as an assemblage of various aesthetic curios, accompanied by a series of wall texts that engage the viewer in all manner of absurdist banter while simultaneously giving a conversational coherence to the show. A banner hanging in the gallery window reads “The Ministry for the Future of Art”—the organisation that ostensibly represents a stable of Permangelo’s artists including Farman. 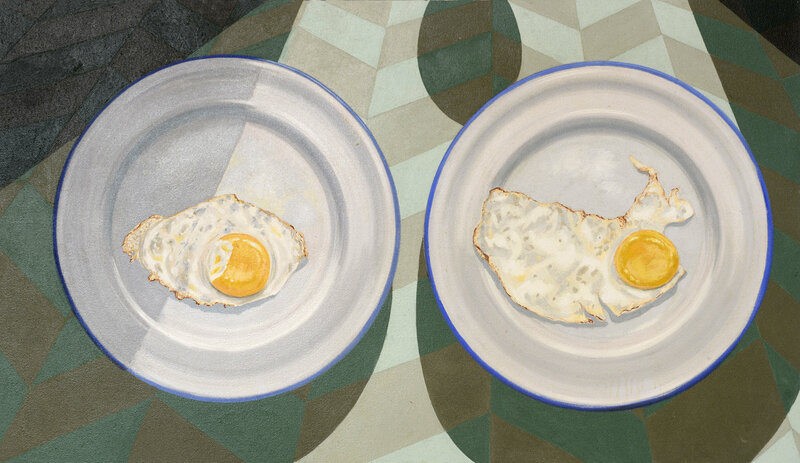 There’s a hint that some of these artists, such as Nora Fleming and Noel Farina who share her initials and also provide the commentary on the works, may be Farman’s alter-egos. 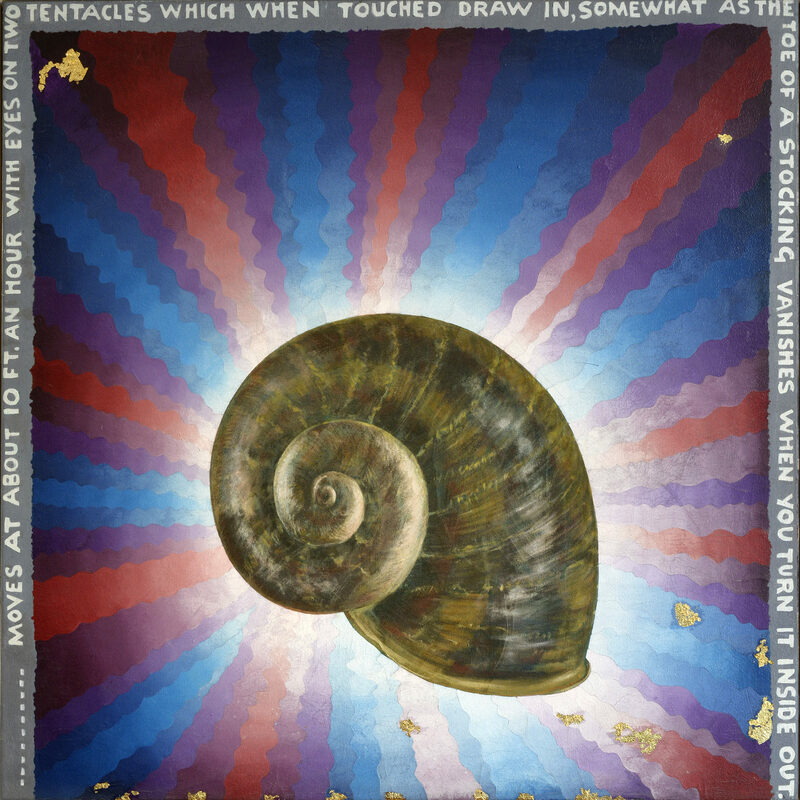 Alongside the first oil painting, Inertia (of a rather psychedelic garden snail, not unlike the kind of naïve artwork you may find in the corner of an op shop), Noel Farina free-associates about snails: “the first one now will later be last”—and another commentator, Tiny Bubbles, replies “Nola is a ‘master chef’ who has in my mind re-instated the big, fleshy escargot as simple and marvellous.” With the work’s touches of gold leaf and inflated price of $12,250 it’s clear that this exhibition is playfully tongue-in-cheek. A conceptual centrepiece of the exhibition is an incomplete canvas, Unfinished and Untitled, a beguiling self-portrait of the artist in sunglasses surrounded by various everyday objects. An elaborate contract titled “A Whiff of the Oily Rag” has been drawn up to allow the work to be either bought outright or borrowed for periods of up to three months. Alternatively, in what seems like an analogue to and possible spoof of crowdfunding, but also perhaps a reference back to the snail and slow art, donations can be made to motivate the artist to finish the work within two years.